Why does O’Rourke continue to insult Black Americans? Texas Democratic Congressman Robert O’Rourke, who is running against Sen. Ted Cruz, continues to make eloquently deceptive remarks and false equivalences that are particularly offensive to Black Americans. Several weeks ago, many people shared on social media O’Rourke’s passionate response to a question about NFL players kneeling at football games while the national anthem is played. Wednesday night he claimed that Black Americans are unfairly treated by law enforcement, while also criticizing Blacks for not wanting to work. O’Rourke’s doublespeak about Black Americans is factually inaccurate, which makes it difficult to determine if he represents the lingering racism of the Deep South or just foolish recklessness. O’Rourke’s false equivalences between the Civil Rights nonviolent movement to NFL players kneeling is astounding. No Civil Rights leader received millions of dollars from the federal government to respect the U.S. Flag, U.S. Armed Forces, or the national anthem. Civil Rights activists lost their jobs, their homes, their churches, endured economic and physical hardships, and risked and lost their lives. To clarify, the NFL controversy began after the organization signed a contract with the U.S. Department of Defense (DOD). According to Vice, the NFL’s policy on players standing for the national anthem changed in 2009, prior to which instructions were not given. A large portion of the money went towards “paid tributes” including, “on-field color guard, enlistment and reenlistment ceremonies, performances of the national anthem, full-field flag details, ceremonial first pitches͕ and puck drops.” In other words, the NFL received federal money to provide performances of the national anthem. Any player not standing to honor members of the Armed Services was essentially violating the contract with the federal government, for which the NFL was receiving millions of dollars. In 2016 the findings of a Deloitte & Touche audit of 100 marketing agreements between 2012 and 2015 revealed that the DOD paid NFL teams $723,734 for “acts of sponsored patriotism.” NFL commissioner Roger Goodell said the league would return the money. MoneyNation calculated that the total salary of 1,696 NFL players in 2016 was roughly $3.6 billion. The salary of Civil Rights leaders was never in the hundreds of thousands, let alone millions, or billions. No NFL player is risking his life, or his family’s life, by kneeling. At a town hall meeting Wednesday O’Rourke made several more false equivalent arguments. He claimed that Americans don’t want to work, in response to a Black American who asked him about illegal immigration. O’Rourke also compared today’s law enforcement to the “new Jim Crow,” referring to segregation in the South. He also argued that illegal aliens are performing jobs that Black Americans and others won’t consider, and then compared illegal aliens to the modern-day cotton pickers of the South. 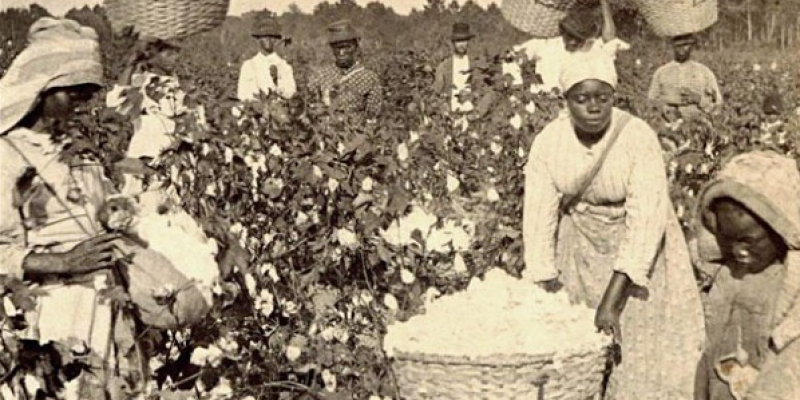 Historically, cotton pickers were mostly poor Caucasian and Black American share croppers, indentured servants, and slaves—not at all the equivalent to illegal aliens working in the U.S. Despite O’Rourke’s claims, data from the U.S. Bureau of Labor Statistics reveals that Black unemployment numbers are at their lowest since the 1970s and Black participation in the workforce is also at its highest since 2000. The data alone disproves that Blacks don’t want to work. In fact, more are working, so why would O’Rourke insult them by saying they don’t want to work? Furthermore, data continues to evidence how Illegal aliens working in the U.S. directly and negatively impacts underprivileged Black American men the most. More than 1.5 million low-skilled illegal aliens entering the U.S. every year are primarily taking jobs that would otherwise by filled by Americans. But even before this data was published, Civil Rights icon and Texas Democratic Congresswoman Barbara Jordan, warned about the cost of illegal immigration to Black Americans in the 1990s. The Jordan Commission reported that mass illegal immigration specifically hurt poor, working-class and lower-tier middle-class Americans. Illegal immigration created cheaper labor and greater competition for Americans who wanted to work. Members of the “Blacks for Trump” movement repeatedly make the same argument today. But they point to hope for their community because they argue the Trump economy is empowering Black Americans. Pastor Darrell Scott recently remarked that President Trump is the “most pro-black president I’ve seen in my lifetime.” And voters appear to agree. According to a June 2018 Rasmussen Reports poll, 32 percent of likely U.S. voters believe life for young black Americans has gotten better since Trump’s election. This is a significant increase compared to a March 2014 poll where 16 percent said life for young Black Americans had gotten better since Obama’s election, and to a July 2016 poll where 13 percent said life was better for young Blacks. O’Rourke seems to be out of touch with the community he claims to support and insults at the same time. He’s like the “good ol’ boy” master who wants to keep Blacks on the plantation but then turns around and gives their homes and income to Mexicans. Supporting illegal aliens is the new Jim Crow. O’Rourke is the quintessential white privileged man who supports illegals stealing jobs from Americans. There is nothing patriotic about taking away jobs from Americans. There is nothing patriotic about dishonoring the lives of Civil Rights activists who were paid nothing to risk everything. And there’s nothing Senatorial about making false equivalences to misguide voters.